Tomorrow is the official first day of spring. With spring comes lots of light, neutral and pastel colors. As the weather warms up, you will notice an influx of pastel colors at your favorite stores. 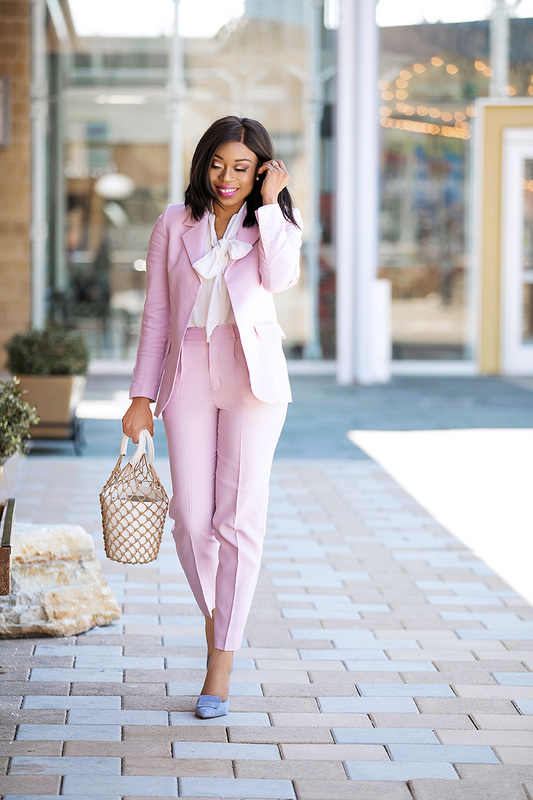 Wearing pastel colors are a must-have this spring. There's something refreshing about the color. 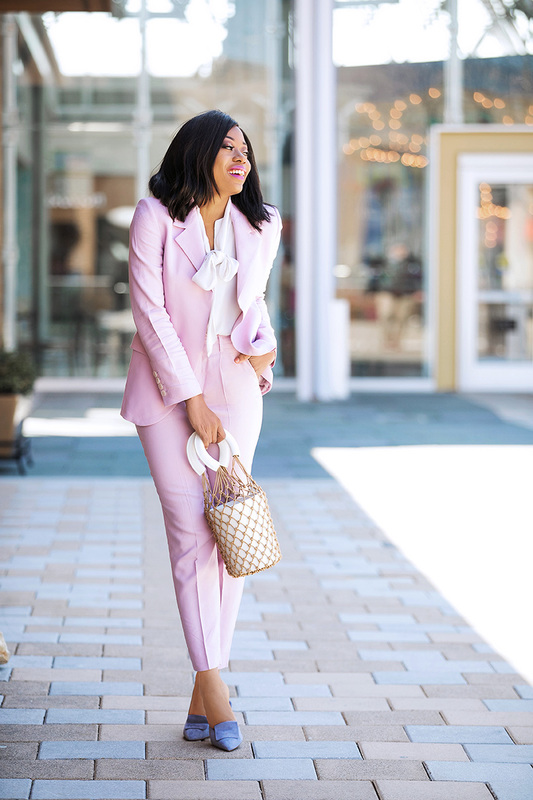 There are so many ways to stand out this spring in pastel and that includes trouser suiting. Trouser suiting pastel colors includes light purple, lavender, blue, blush pink, and yellow. If you want warmer tone colors, try mustard yellow like this New York And Company skirt or as seen in my previous post here or orange and emerald green suits. 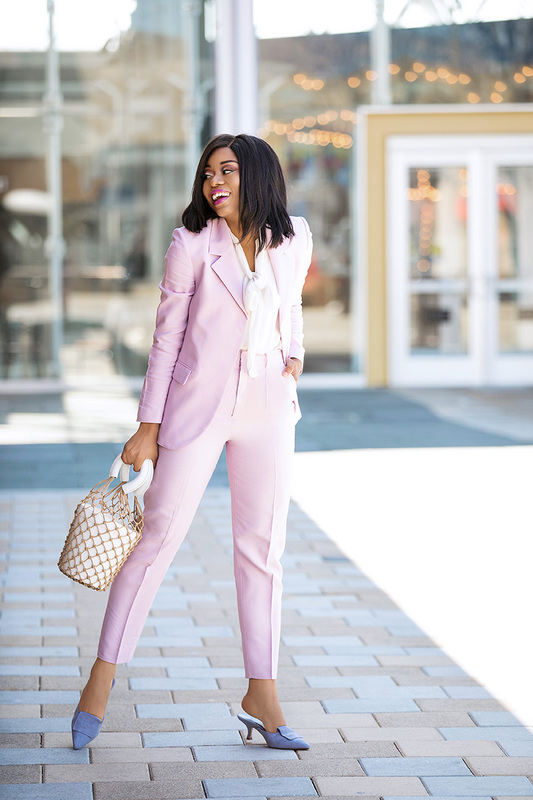 Pastel suits or trouser suits can be styled in some many different ways. 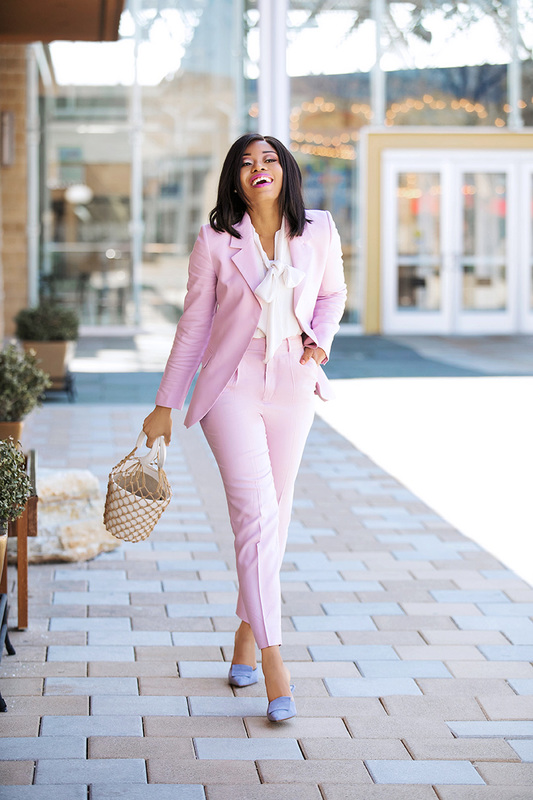 For a light purple suit like mine, you can either pair it with off-white blouse or add additional pastel color like lavender or different shade of the purple. 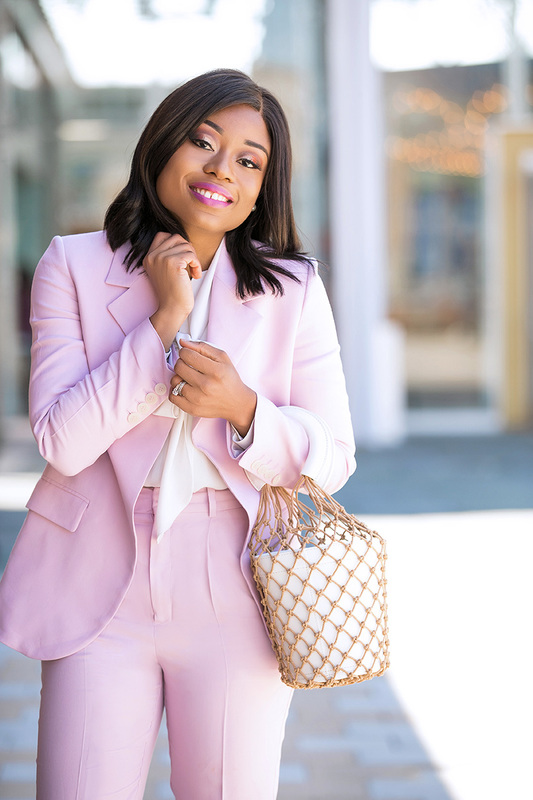 Another way to style pastel suits is by layering with trench coats over the blazer. Layering has a way of accentuating the entire look by adding a unique feel. 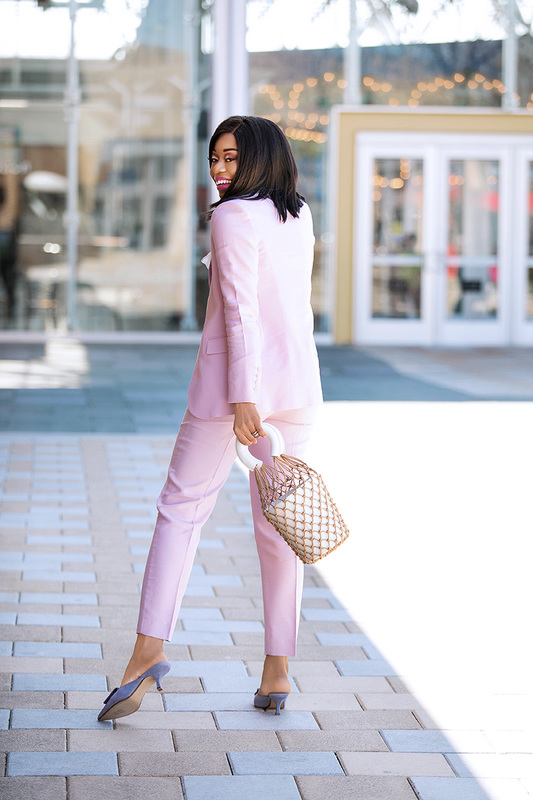 Another way to style this season's power suiting is casually pairing it with white tee/graphic tee and comfy sneakers...sneakers are taking over this season! 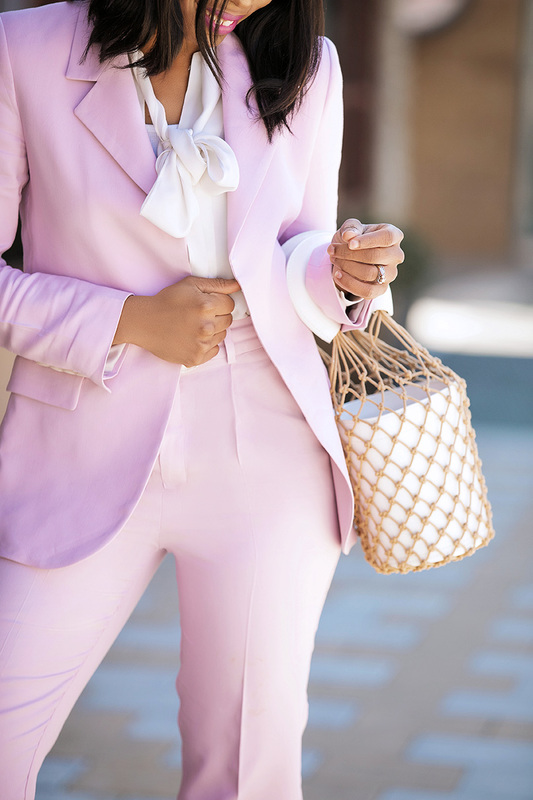 So into pastel suits this season! Such a beautiful look! Wow!